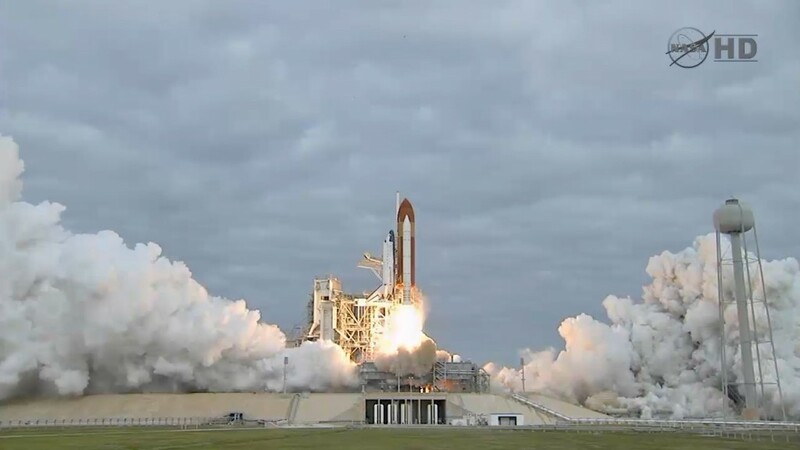 CAPE CANAVERAL, Fla. — The space shuttle Endeavour, the youngest orbiter in NASA’s fleet, soared into the morning sky Monday to begin the final mission of its 19-year career. The shuttle and its six-man crew are bound for the International Space Station, where they will spend 16 days delivering spare supplies and an ambitious astrophysics experiment. That earlier launch try was called off when a heater used to protect a critical power unit on the shuttle failed just hours before liftoff. Engineers traced the problem back to a switchbox feeding power to the heater. They replaced the box and about 20 feet of wiring connected to it, and conducted thorough tests to make sure the problem was resolved. There were no issues with the system during today’s launch countdown.